An Award-Winning Commercial Real Estate Brokerage. 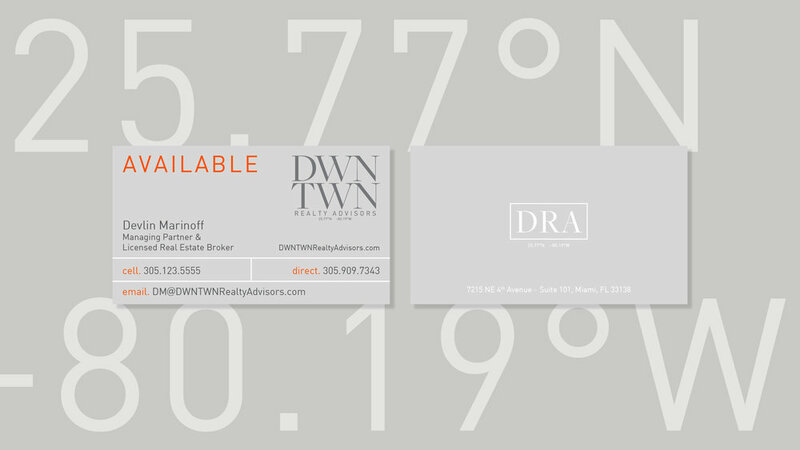 DWNTWN Realty Advisors is an institutional quality brokerage firm focused on emerging markets in Miami’s urban core. Levie provided branding, visual guidelines, signage, and a responsive web experience with the goal of creating a bold and distinctive identity for DWNTWN Realty Advisors inspired by the handshake and old-school principles, yet forward thinking in respect to design. We designed a modern, fully responsive website for DWNTWN Realty Advisors. Our custom solution presented bold messaging in a clean design, to project values of trust and simplicity representing its institutional approach.